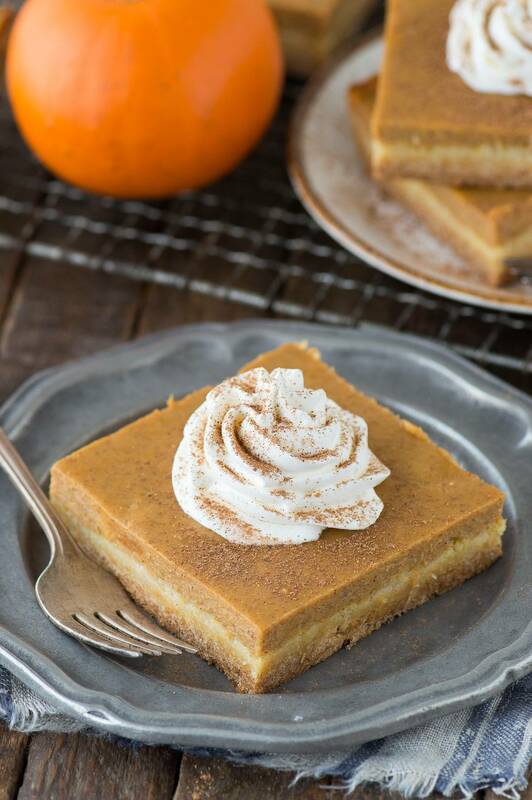 Easy pumpkin pie bars with a classic pumpkin pie filling and a 2 ingredient cake mix crust. 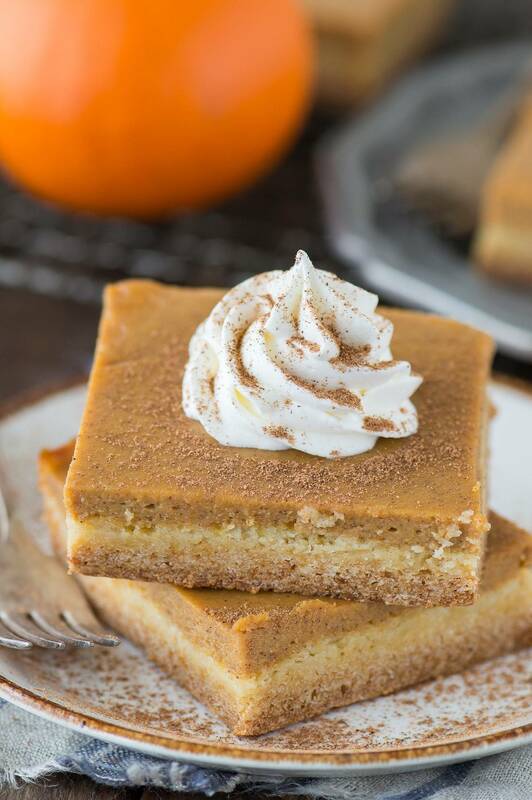 Made in a 9×13 inch pan, these pumpkin pie bars are amazing! My one friend in particular, Hannah, is my favorite person to try recipes out on because her reactions are the best. When Ryan tries something I’ve made, his response is “it’s good.” So I usually have to ask him like 10 different questions to pull more information out of him. When Hannah tries something, her response is usually “Oh my gosh, this is AMAZING!” And she’ll mention it several times. Love you Hannah! 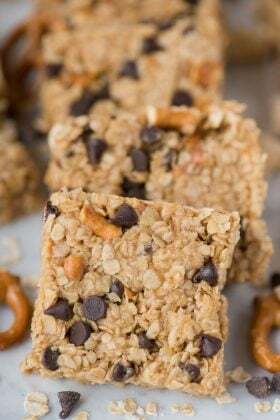 Moral of the story, the verdict is in, and whether you’re more of a “it’s good” person or a “this is amazing” person, this recipe is a favorite! This recipe is a cross between pumpkin pie bars and pumpkin cake. The crust is made from a box of yellow cake mix with melted butter to form more of a cookie/cake bottom. The filling is just like pumpkin pie filling. And when you bake it in a 9×13 inch pan, you get delicious pumpkin pie bars with that classic pumpkin pie filling and hints of yellow cake mix in the crust. To keep these bars looking just like pumpkin pie, I topped each slice with a dollop of cool whip. 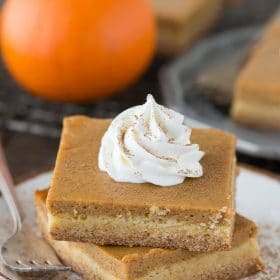 Now I know there are some people who are very loyal to their traditions, and having pumpkin pie on thanksgiving is a big tradition, but if you’re brave enough to mix it up, or even to serve these easy pumpkin pie bars along side of a classic pumpkin pie – I bet you most people will want to try BOTH! 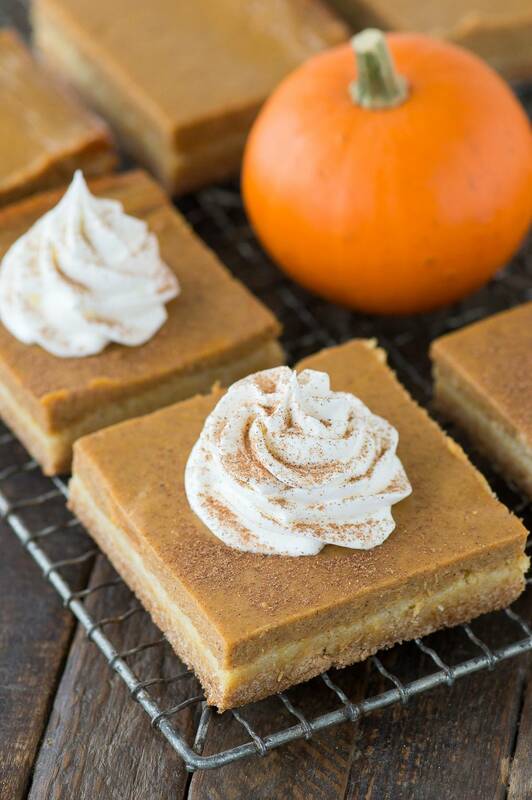 Easy pumpkin pie bars with a classic pumpkin pie filling and a 2 ingredient cake mix crust. 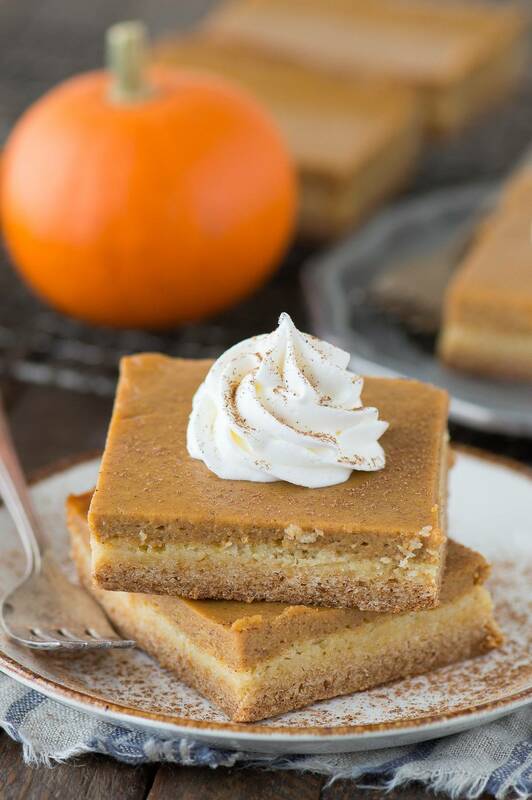 Made in a 9x13 inch pan, these pumpkin pie bars are amazing! In a mixing bowl, combine the yellow cake mix and melted butter until a thick ball of dough forms. 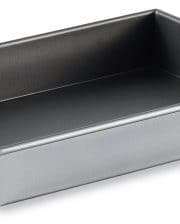 Press the dough evenly into the 9x13 inch pan. 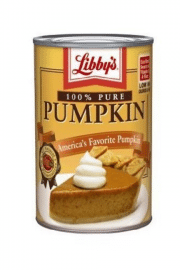 In another mixing bowl, combine the can of pumpkin, eggs, sweetened condensed milk, cinnamon, salt, and pumpkin pie spice and beat with an electric mixer for 2 minutes or until the mixture is combined and smooth. Pour the filling on top of the crust. Bake for 35-45 minutes or until a toothpick inserted in the center comes out clean. Allow the bars to cool before cutting. 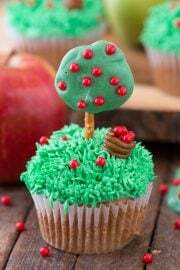 I’m trying these today. What did you sprinkle over the top, nutmeg? I just took these out of the oven. What did you sprinkle on top? 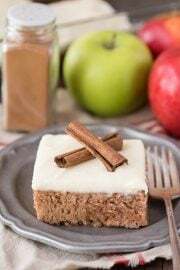 Hi Renee – I used pumpkin pie spice for the photos! 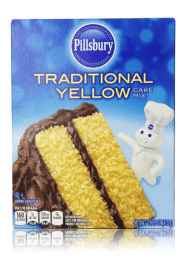 Do you follow the instructions for the yellow cake mix or just add butter? Do not follow the instructions to make the cake, you only need the cake mix and melted butter. 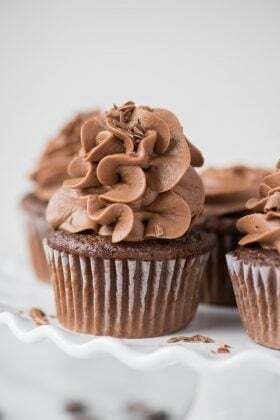 It may not matter for this recipe, but did your cake mix have pudding in the mix or not? I don’t think it did! Do you think a spice cake could be used in place of the yellow cake?? 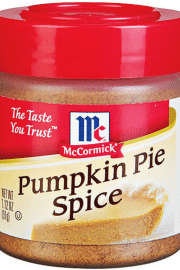 Can I omit the cinnamon, pumpkin pie spice, salt and the pure puimkin for easy pumpkin pie mix?? Hi Jessica, I’m not sure, I don’t have experience in using a can of pumpkin pie mix. 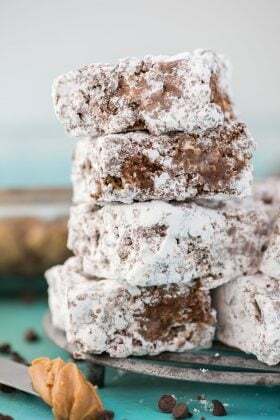 I’m making these the day before, would they need to be refrigerated after cooled? I would refrigerate them overnight! Yes! Then bake them together. 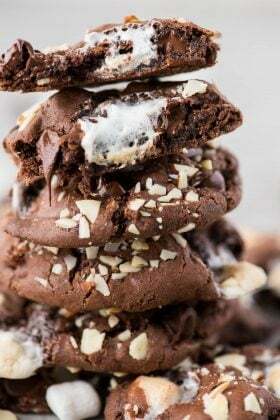 Could you double this recipe and put it in a jelly roll pan? I wish the crust would have had a from scratch option, not everyone uses box mixes. Any replacement for the condensed milk? Can I make this 4 days ahead and keep it in the refrigerator?? Hi Gilma! I personally feel like 4 days in advance is too much, I would do 1 day max. 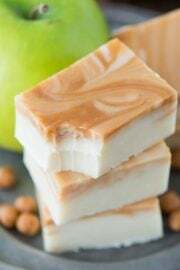 I only have evaporated milk, would that work or could I go vegan and use Almond milk and vegan butter instead? Evaporated milk is NOT the same, but you can Google how to make your own sweetened condensed milk. I don’t think it matters on the butter. Hi Cynthia, I’m sorry this recipe didn’t turn out for you. Every oven is different. These are thinner pie bars, they are not going to be as tall as a brownie for example. Hi Sheila! I don’t have any experience myself with freezing these bars.